As you age, your eyes go through many changes, leading to a decline in vision. While it’s not possible to stop the aging process, studies have shown that certain nutrients can promote eye health and support clearer vision. VitaStrength Lutein Vision Health Complete Formula is a unique eye formula that contains the most important nutrients that research has shown to play a role in eye vision health. Protect and nourish your eyes with the best eye formula! Order VitaStrength Lutein Vision Health Complete Formula Today! FREE SHIPPING via Priority Mail and receive it in 1-3 days. AN IMPORTANT PART OF YOUR EYE CARE ROUTINE: Our lutein formula supplies your eyes with essential nutrients that protect them as you age and that provide the vital nutrients for the production of healthy cells. (NON-GMO) COMPLETE EYE FORMULA: With vitamin A, Bilberry, Zinc, a lutein 20mg dose and other essential nutrients that promote vision health; More nutrition than a standalone supplement with only lutein for eyes. NOT JUST FOR VISION HEALTH: The nutrients in our supplement are beneficial for your entire body and help to support cardiovascular health. QUALITY YOU CAN TRUST: Our lutein eye vision supplement is made in the USA at a GMP Certified, FDA Approved and Inspected facility, so you can count on its quality, purity and safety. SATISFACTION GUARANTEED: We’re committed to only offering the best vitamins for eyes, so we back up our supplement with a complete satisfaction guarantee. If you’re not pleased with our eye health supplement within 30 days, we’ll refund your money. As you age, your eyes go through many changes, leading to a decline in vision. While it’s not possible to stop the aging process, studies have shown that certain nutrients can promote eye health and support clearer vision. To get all of these important amino acids, minerals, nutrients and vitamins for eyes, you could take dozens of supplements per day, or you could simply take a two-capsule dose of VitaStrength Lutein Vision Health Complete Formula. – MORE COMPLETE. 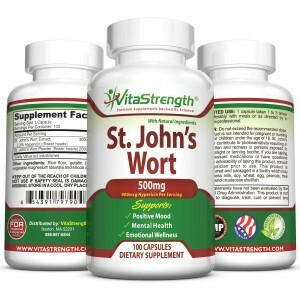 Our supplement gives you more than just lutein for eyes. Our complex eye formal supplies a complete range of natural ingredients to support vision health. – EASIER TO USE. Just 2 capsules iare all you need for a full dose. – BETTER QUALITY. 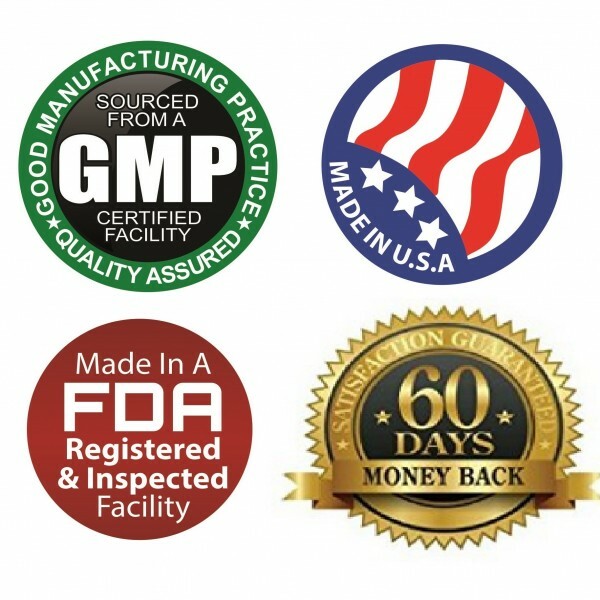 Our supplement is made in the USA at a GMP Certified, FDA Approved and Inspected facility for unparalleled quality. – GUARANTEED. We’ll refund your money if you’re not completely satisfied. Protect and nourish your eyes with the best eye formula! 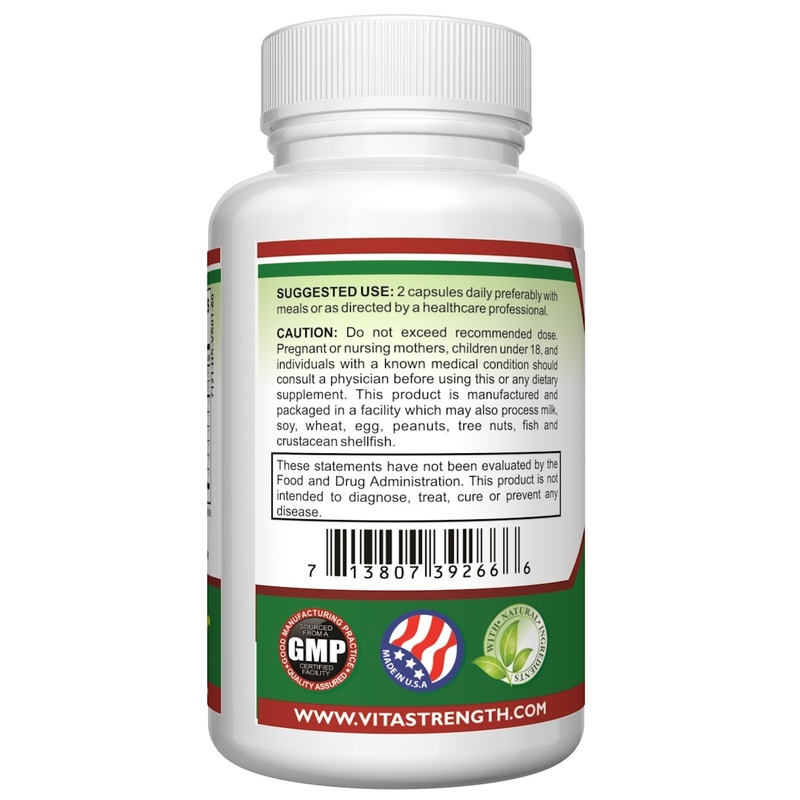 Order VitaStrength Lutein Vision Health Complete Formula Today! 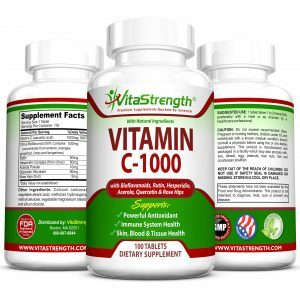 More Products from VitaStrength Inc. I think our eyes are one of the areas that don’t get enough press. Our eyes are very important and need as much help as they other parts of our bodies. Lutein was recommended to me by my eye doctor a few years ago but I hadn’t gotten around to taking it yet. As my vision continues to deteriorate, I figured now was the time to start taking it. The bottle came well-packages and the documentation that came with it was very helpful. The pills were easy to swallow and left no aftertaste. That makes any pill really good as far as I am concerned! Since taking Lutein, my eyes are less tired which has been a great change! I am pleased with this lutein supplement, eye health is very important, my eye dr had been nagging me for a few years to take lutein to help protect my eyes, I have a family history of glaucoma and machlear degeneration, after ending up with a detached retnina, this past autumn I decided it was time to listen, ok past time. I have been taking different brands of eye health vitamins and I can’t say as I have noticed a differance but I also can’t say that my eyes have gotten worse, they haven’t so it could well be that these are helping. The only reason for losing a star is that the capsules are made ove gelatin, which is made from bovine ( cow) bone marrow, I prefer my supplements to be vegatarian products, I don’t see the need for gelatin to be used for capsules these days, not when there are so many veggie based ones out there that work just as well if not better. This might not be a star losing point to everyone but it is to me. That being said these don’t have a bad taste or odor to them, a very big plus. They are easy to swallow and seem to be fine, they don’t make my stomach upset, another big plus. If they were a vegatarian supplement it would have gotten a fifth star from me, without a doubt. They came on time, after Amazon fixed their mistake that is. And I am pleased with them. I doree omens them, but do wish the company would consider changing their capsules to a veggie based one, there are a lot of supplements out there so you if your a vegatarian you don’t have to settle for cow marrow. Other than that these really are a good quality vision supplement. 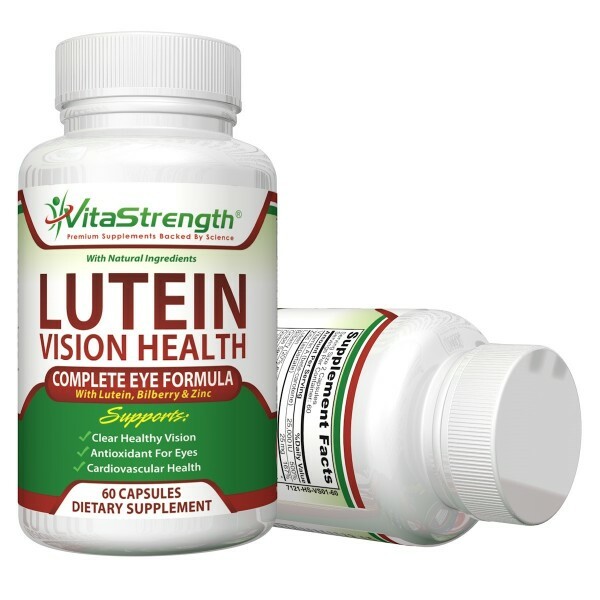 After being diagnosed with a slight astigmatism, I decided to look for a good Lutein combination formula supplement. Most multivitamins only contain .25 mg per tablet. Research I’ve found states when we consume 11.7 mg of lutein it may possibly reduce ones risk of macular degeneration. If you are like myself you probably don’t want to eat kale everyday to obtain the maxium benefits (even though I do like the benefits of kale very much). Cooked kale contains 44mg of lutein per cup verus broccoli which only contains 3 mg per cup. 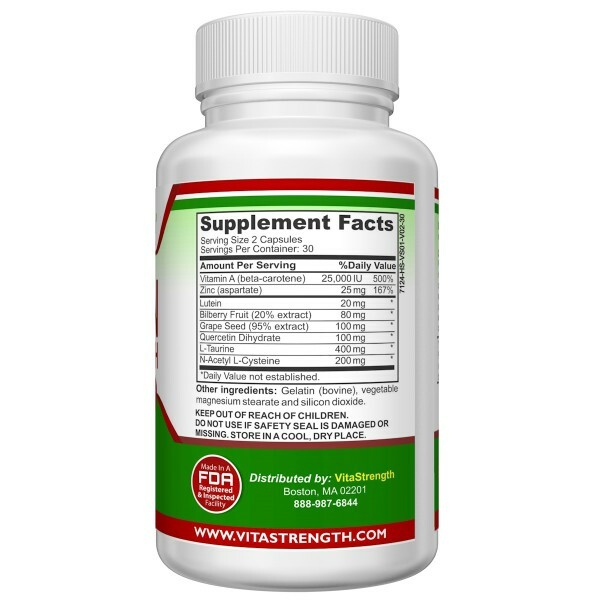 I decided that this supplement is the best way and source for me to obtain my daily amount of lutein that I might not be adequately getting from my food sources. By taking this supplement daily and retraining my eyes by not wearing my eyeglasses all day, I’m hopeful I won’t have to wear bifocal contacts or eyeglasses in the future. I’ve tried the astigmatism contacts. They are very uncomfortable unlike regular contacts. I’m thankful that I’m still wearing the regular contacts and eyeglasses since taking nutrition supplements for the eyes. Most importantly I want to do all I can to prevent any of the eye diseases as I get older such as cataracts or retinitis pigmentosa. I’ve read additional research that indicates blue eyed people, post-menopausal women, and smokers have decreased levels of lutein in their bodies. I am both blue eyed and postmenopausal so I feel taking a lutein supplement is critical for me. I received this item quickly, the package was intact and the item was packed well. It worked extremely well, I was amazed on just how good it was, and the quality is definitely there, I was not sure what to expect but I was pleasantly surprised. I am 40 but bad vision runs in my family. I have never needed glasses but it is never to early to protect your vision. I take two tablets a day and in addition to protecting your vision there is all kinds of different vitamins and nutrients that will help to improve your overall health and not just your vision! Some of the vitamins are: Vitamin A 25,000 IU – Zinc 25mg – Lutein 20mg – Bilberry 80mg – Grape Seed 100mg, in addition to others. This supplement will be great to take as you will not just be helping your eyes, but your over all health as well. Works GREAT! 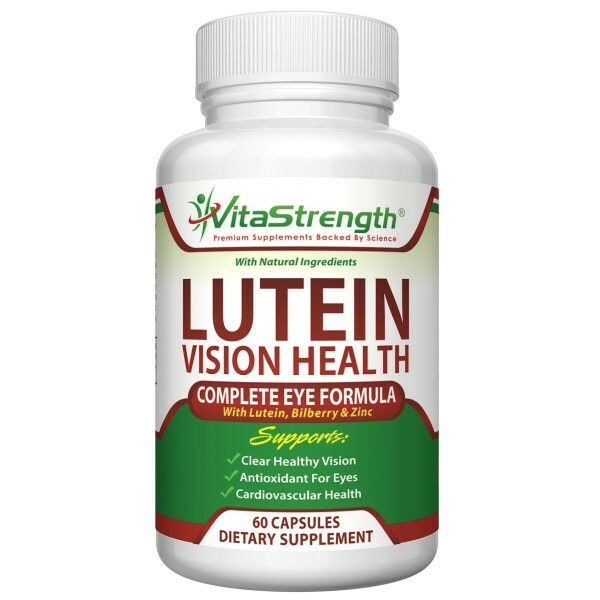 I have noticed a difference in a short period of time (less than a week) and because of such, I would Highly Recommend the Lutein by Vita Strength. My ophthalmologist suggested that I add Luten to my diet since I was diagnosed 10 years ago with macular degeneration. By adding Lutein pill to my daily routine it has helped me retain my eye sight. This was my first time trying this brand but I like them. They are easy sallow and I take them with my multi vitamin every morning. I wish I would have known of these before I got older and my eyes had already started to deteriorate. I am in my early 50s and my vision has become so blurry. I need distance glasses while driving, and reading glasses for…. well….reading. I’m sure that the fact that I work at a computer all day doesn’t help, but I think age itself is a big factor. I have astigmatism so Lazik surgery isn’t an option for me and the best I can do is try to prevent future damage. After doing some research I found that there are several supplements that can help including vitamin A, Bilberry, Zinc, and Lutein and these vision health tablets include them all. It’s hard to review something like this, since there are no visible results, but I feel better knowing that my eyes are receiving the nutrients they need and I am hoping they will keep my vision from getting any worse. I take this vitamin every other day to maintain my eye health. My parents (in their 80s) have been taking this vitamin and appreciating their eye sights being improved by this vitamin. I‘ve taken lutein for the past two or so years, but stopped taking it for a while, so I’m glad I was able to get to try this. It’s not always possible to get the amount of lutein we need for good vision so I think that it’s important to take a supplement every day. I do have to use reading glasses but I can see things at a distance just fine. I’m really not sure how much the lutein supplements do help me, I think it would have been better if I started taking them at a younger age before my vision started to deteriorate as much as it did. If I can help save the vision that I do have, then I think it’s important to stay on a supplement. I would recommend to start taking them as soon as possible. There are many different brands out there at different prices, so I think it’s important to look around and decide what is best for you. I like that this supplement also has bilberry, as it’s good for night vision. It also has many other benefits for a good price. 20 mg. of lutein is a very good amount to be taking every day. Super excited to receive this item! The Lutein supplements for vision health came sealed tightly which is nice. The capsules are small so easy to swallow. Recommended to take with food (2 tablets per day). Lutein is great for healthy vision by being a great antioxidant for your eyes. They were made with natural ingredients and seem to be of really good quality. Overall, I am very pleased with the product! My eye doctor recommended taking these for eye health. I’ve gotten older and my vision and eye health in general has declined, so I’m game to try just about anything that may help. I’ve actually been taking these for a cpl months, I personally haven’t really noticed much of a difference, but my optometrist claims that she can tell my eyes are in much better shape than they were at my last visist. I haven’t done anything aside from taking these and making sure I always wear sunglasses outside to protect my eyes from the sun. My vision hasn’t been as good as it used to be, so I always try to preserve what is left b before it is too late. These Lutein pills may not show the results immediately after starting using it, but I have found that consistency is a key with any supplement, vitamins, beauty products and such. These pills are easy to swallow, don’t have any weird smell, and are of good quality. I love that they come in a small bottle even though there are 60 pills. I have so many vitamins and supplements in my kitchen drawer that I need all the extra space I can save for storage. I appreciate the material-counsious packaging. I love these vision vitimins. they are very good for your eye site and are very easy to take. no upset stomache with them either. This is a wonderful complete eye formula. Supports clear healthy vision, antioxident for your eyes and cardiovascular. I am very impressed with this formula. You can get other brands that do not have the same balance of ingrediants. This is wonderful!I highly recommend this product for everyone to help support eye health! Lutein in used to aid eyesight and to protect the eyes from sun damage and aging. Foods that are rich in lutein include broccoli, spinach, kale, corn, orange pepper, kiwi fruit, grapes, orange juice, zucchini, and squash. I got the lutein to aid in maintaining my eyesight and keeping my eyes healthy. Studies have shown that the amount of lutein an individual should take for reducing the risk of cataracts and age-related macular degeneration (AMD) if 6 mg of lutein per day, either through diet or using supplements. People consuming 6.9 to 11.7 mg of lutein per day through diet had the lowest risk of developing AMD and cataracts. For reducing symptoms of AMD: 10 mg per day of lutein supplements. This Lutein supplement provides 20mg of Lutein, Vitamin A, Zinc, Bilberry extract, Quercetin Dihydrate, L-Taurine & N-Acetyl-L-Cysteine and grape seed, so gives you a lot of lutein. I like that this supplement is produced in a FDA approved GMP facility following strict practices to ensure the highest quality supplements. I have been taking these for 10 days and my eyes feel better, less tired or soreness to my eyes but not sure can attribute that to this product alone. While vision the same I am happy with the product as it is giving me the levels of lutein recommended by doctors to address eye issues. 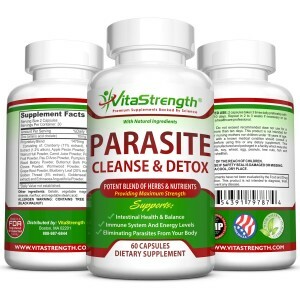 VITASTRENGHT IS AN AMAZING COMPANY THAT CREATES GREAT PRODUCTS. IM HAPPY WITH THIS PRODUCT AND HOW GREAT IT WORKS. IT IS A GREAT HEALTH FOR THE EYE. BEST RESULTS SO FAR. I RECOMMEND THIS PRODUCT. My mother in law has macular degeneration and has completely lost vision in her right eye. At her most recent appointment it was recommended that she start taking lutein (in the Areds-2 formula.) However, through research we discovered that extra lutein would not hurt, and could potentially be a benefit to her. Update: Since beginning on the Areds 2 and extra Lutein, her vision has NOT changed at all; for someone who has had a deterioration in their vision EVERY time she goes to the doctor this is HUGE!!!! We only have one pair of eyes, and once your vision is gone, that’s it. If you have to pay through the nose to keep those eyes working–as long as you have the wherewithal–it’s worth it. Ingredient-wise these are very similar, but rather than risking complications to my MIL (since she really doesn’t have the option of losing more vision…) my husband is taking these as a preventative, and so far so good.. I have been taking this for a little over a week now. I had read about Lutein and that it showed promise in actually improve eyesight and fogginess with age. I have recently been working quite a lot on the computer and my 50 year old eyes are full of floaters and are just generally red and tired. I can’t say that it’s done a lot for the tiredness and redness, but the floaters seem to be improving. That’s the only reason I wanted to post this review before I finished the bottle. I’m very hopeful that they will continue to improve. I will return after the bottle has finished and do an update. I had no strange effects at all and no upset stomach. I would absolutely recommend this to anyone with aging eyes. 5 STARS!! Capsules were easy to swallow. The bottle was very secure with cotton and seal. Lutein is the main ingredient with no fillers so it should prove potent in my daily intake. Great product that i will purchase again. I really enjoy taking these Vision Health supplements. They are easy to consume, they don’t cause any negative side effects. I feel like my vision has been more focused since taking them and they contain amino acids, minerals and lots of vitamins to ensure many positive vision benefits and qualities. The recommended dosage for these supplements are two tablets daily. I believe that they are very efficient and they contain Vitamin A which gives your eyes much needed support. I bought these for my dad. I remember buying the same herbal treatment for my mom a few years back and this product works amazing. It keeps the eyes lubricated when eyes are dry & itchy. Helps with allergies and watery eyes. It’s a capsule making it easy to swallow and digest. Dads says everything looks brighter and clearer. It’s working and my 88 year old Father is happy so that’s all I need! I highly recommend for anyone suffering with eye problems. I got this bottle for myself, as I have all manner of eye health and vision troubles; however, at the time that I received this, my boyfriend had just hurt his eye. He went to the eye doctor and they said that there was nothing that they could do, but that it would heal on its own. He said he had a “floater” too. I googled these problems to see what I could give him and found several articles, two items kept being repeated and seemed to be the common denominator. One was Bilberry, and the other was Lutein. This product has them both, along with a bunch of other vitamins and supplements: vitamin A (which we all know is in carrots and is well established as being great for eye health) as well as Zinc, Taurine, NAC, Quercetin, and Grape Seed. I had a tincture of Bilberry that I had made for myself. I started giving that to him before this bottle arrived. Once this arrived I had him taking two per day. I realize that his eye is not going to heal overnight, but I am optimistic that this product has all of the right ingredients to help him. This bottle contains 60 capsules, and the recommended dosage is two capsules per day, so this bottle should last for one month. He has no problems swallowing these capsules, however, if you have problems swallowing capsules, I have learned a trick. Your natural inclination when swallowing capsules, is to tilt your head back, instead, tilt your head forward, and the capsule will float to the back of your throat, making swallowing easier. I will be buying another bottle of this for myself to replace the bottle that I gave my boyfriend. Also, I read that Lutein is best absorbed when taken with fat, so he takes it with a teaspoon of coconut oil. After 1 bottle I have noticed an improvement in my vision. Hope it continues as I keep taking the product. My Eye Doctor approved! These Lutein pills may not show the results immediately after starting using it, but I have found that consistency is a key with any supplement, vitamins, beauty products and such. These pills are easy to swallow, don’t have any weird smell, and are of good quality. I love that they come in a small bottle even though there are 60 pills. I have so many vitamins and supplements in my kitchen drawer that I need all the extra space I can save for storage. I appreciate the packaging. I have been taking these for the past 3 weeks and I’m happy with the result. I have a blur vision since pregnancy and even now i still have problem with my vision. I decided to look for vitamin that could help me maintain my eye vision and found this product. I like that it contains Lutein plus bilberry, zinc, Vitamin A, and other natural elements to support eye health. I can’t tell if it work as it too soon but i don’t see that it could be bad either as the ingredient in it are all the good stuffs. It easy to take and overall i have no issue or side effect with it in anyway. A quality product. The ingredients are a great blend. Time will tell and I will certainly update if I notice anything that negative or extremely positive. Being middle aged my eyes are not what they used to be and with the usage of a computer an hour or better a day does not help at all. I read up on this product prior to ordering it and reading some of the reviews, it was a no brainer. Something that I had not realized is that this product had so much to offer for my health! I actually took this product with me to my eye doctor and he read the bottle and checked it out online as well and was very positive in my taking it, and that is reassurance that you want to hear. I have a condition called “Pannus” which is tissue growing over my to protect the eye from sunlight and whenever out in the sun I wear sunglasses to try and help prevent any more growing. My question was if this product would help with this condition at all, and probably not, however, he recommends that I continue taking it long term for my eye health. I have not had any indifference taking this and I will continue to take. If anything, my eyes do not seem to be quite so blurred and tired at the end of the day. Good product! This is an excellent product, so let me tell you a little about my experience with it thus far. 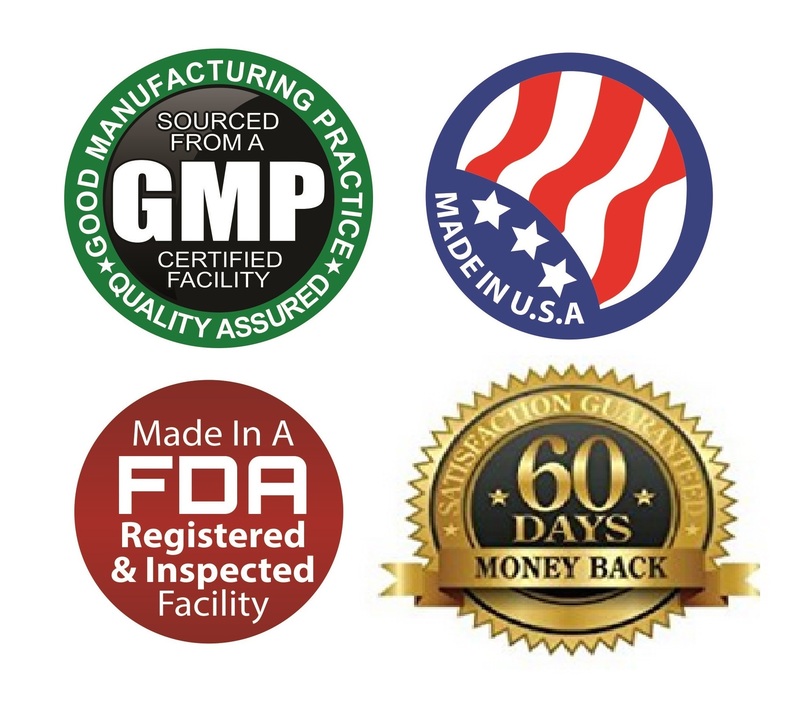 First of all, and most importantly, this product is made in the USA at a GMP Certified, FDA approved and inspected facility, so you can be assured that this product is meeting particular quality standards. This has more useful vision support ingredients than the supplement my opthamologist recommended and is cheaper. So I was definitely excited to try this product. Lutein is very often recommended for people with degenerative retinal conditions, so you may want to use this product if you have one of those. There are 60 capsules in the bottle, and the recommended daily serving size is two pills, so there is a 30 day (aka a one month) supply per bottle. The product arrived in perfect condition. I like the smaller pill size, it is much more compact and easier to swallow than other Lutein and eye health products. Not only are these pills are easy to swallow, but they also don’t leave a bad after taste. My eye doctor has often recommended that I use Lutein as a health supplement and this pill is a great way to ensure that I am keeping my eyes and vision strong. I bought the supplement for my mother. After turning forty years old she started to notice her vision got worse and had to buy eyeglasses for reading in particular. She then started to take lutein eye supplements at her doctor’s recommendation. She takes this course two times per year, in the spring and autumn, every time for two months. This supplement is a good one, it lasts for a month and the size of the pills is not too bad. Besides lutein it also has vitamin A and Zinc and more natural derived ingredients that make it a complete supplement. With time and taking care of taking this kind of supplements her vision improved slightly, she already changed her glasses. I would recommend this supplement. As I get older I am slowly loosing my vision. I have an eye disease that slowly makes my vision get worse as the years go by. My mother was blind from it before she passed. My eye doctor has suggested taking supplements everyday. He says they can’t hurt and some can slow it down. So I have been keeping my eyes open to any new eye formulas that come out. I have been taking Premium Vision Health Complete Eye Formula With Essential Vitamins For Eyes for awhile now. Why take many pills when they are here in this one bottle. More complete, easier to use, better quality-made in the USA at a GMP certified, FDA Approved and Inspected facility. Then there is the guarantee “we’ll refund your money if you’re not completely satisfied”. I can’t find anything else that can top that. The package arrived in a securely sealed package and the contents were undamaged. The product arrived within 2 days from the date I ordered it. As a man over 50 I have started experiencing the effects of aging. In my case my aging became most evident in the changes in my vision. Even though there is no fountain of youth it has been proven that an active lifestyle along with exercise and healthy diet can slow the effects aging. I will attempt to update this review upon completion of the bottle to update readers of this review of my results. I can go on about the combined benefits of the ingredients included in this supplement but I believe that it is always best to get information direct from the source, because of this I have provided a list of ingredients and the benefits of them as the seller of this product claims. This information comes directly from the Amazon posting. One must be vigilant for their own health. When using supplements it is essential to reasearch what you are taking. It is also essential that you speak with your health care provider about supplements you are taking or you intend on taking. “As you age, your eyes go through many changes, leading to a decline in vision. While it’s not possible to stop the aging process, studies have shown that certain nutrients can promote eye health and support clearer vision. LOVE THIS PRODUCT! I have dry eyes and have had to where glasses since 8th grade (almost 50 years ago). I started to take Lutein in hopes it would help my dry eyes….I still have dry eyes, but I recently went to the eye doctor and my right eye’s vision has improved! I was stunned as I have had the same prescription all these years and if anything, you would think it would get worse! I attribute that change to lutein and will continue to take this product! I love this one because of the bilberry and zinc…all great for you! This is an awesome supplement. As someone who has worn corrective lenses for years, I greatly appreciate products such as this. It has great ingredients in it. I highly recommend giving it a try, if this is the type of product you are currently seeking out. Try this one! I have been using Lutein for several years because I believe it helps to keep my eyes healthy. This Lutein is a combination of Lutein, Bulberry, and Zinc, among other ingredients. There are sixty capsules in the bottle – two capsules for a serving. So this is a one month supply. These capsules are easy to swallow (an important factor), and don’t leave an after-taste in your mouth. It is important to note that this product is manufactured in a plant that could also process milk, soy, wheat, egg, peanuts,tree nuts, fish and shellfish. If you have an allergy to any of these foods, then this may not be the best choice for you. If not, this is a very good product. It helps promote healthy eyes and cardiovascular health. As someone with the beginning stages of mascular degeneration, this is very important to me. Lutein is said to ward off vision lose before it gets worse … Can also help block out the visual blue lights from computers, phones, tvs that cause damage to the eyes. I take lutein everyday for eye maintance. Also lutein is said to help brain function and memory loss. I have no negative things to say about this brand. Good quality. Recieved quickly and shipped and packaged nicely. I would definitely recommend these for eye care and maintance. Alrighty, so I’ve tried beta carotene by itself and ever since, I think my eyesight may have stopped worsening as quickly. So I’m interested to try this product, since it claims to be the “best” and better than beta carotene. It does have 25,000 IU though, which is the same to what I’m taking now. Yet, this has other added nutrients like Zinc, Lutein, Bilberry Seed, and Grape Seed. I’m anticipating this product and will update this review after I finish the whole bottle (60 capsules or 30 days worth). I should have taken this product years ago. My eyesight is awful I am supposed to wear bifocals and don’t since every time I do they give me a bad headache. I honestly can’t tell if they’re really working yet but I have high hopes and it’s better then doing nothing. I’ll update this later with better info once they’re in my system longer. Being in my 40’s now, I have seen a change in my vision. I’ve noticed a slight far sighted issue, where I may need reading glasses soon; a problem I never had before. Also, the glare of oncoming vehicle lights at night and the glare from my computer also had been bothering me as of late. In addition, my eyes felt more tired and teary eyed in the evening. I get my eyes checked every year, but no issues have been found. I also get a physical and lab work done as well, but again no issues. So I decided to be proactive about this issue with my eyes and looked into products for my eyes, with the main purpose of finding a product that would provide the right nutrition for eye function through herbs and vitamins, hoping to improve my eyes to function properly. I found this one and decided to try it out. The bottle has 60 capsules, and the directions say to take two capsules a day with a meal. So the bottle is a 30-day supply. 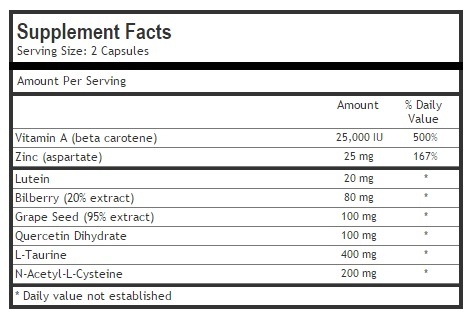 The capsules are easily swallowed and are average size, with no flavor to it. I have taken this product for about two weeks now and had no side effects. One thing I have already noticed is that my eyes are not as tired in the evening and don’t get the teary eye thing anymore. This is great! Also, the night time driving glare and computer glare seems less bothersome and more tolerable. I’m a believer that this product does provide my eyes with nutrition that it needs. I’m grateful that I found a product that works. I know that not everyone has the same issues with their eyes as me, and don’t know if it will have the same results, but this product has helped me. I will continue to use this product, as long as it continues to help my eyes. The Vitastrength premium vision complete eye formula has everything I was taking in multiple supplements all in 1 caplet, and it is so easy to take. I have always had really good vision, and I’ve never needed glasses for anything, but now that I’m getting older I’ve noticed that I’m borrowing my husband’s reading glasses to get out a splinter or thread my sewing needles. I started a couple of years ago using eye supplements, but I realized I was taking a handful of different stuff; Lutein, Vitamin A, Zinc, Bilberry, and others in the recommended doses, and that starts to add up in a number of ways: money, time and not to mention calories. By the time I added all the calories up for what I was taking for just eye healthy it was over 120 calories. ????? It was like having a complete meal or my dessert. Now, 1 capsule twice a day does it, and I don’t feel bad having my chocolate as dessert instead of a bunch of pills. I don’t get any after taste or upset stomach, and I feel I’m fighting the battle of age to retain my good sight. It is essential to take support nourishing supplements for eyes regularly, especially for those who work a lot in front of the computer or watch TV a lot. This supplement has many natural good-for-all nutrients such as vitamin A, Bilberry, Grape Seed extract, Quercetin, Zinc, Lutein 20mg and other that not only promote vision health but benefit all systems of the organism. The capsules are easy to swallow and don’t have any side effects or any aftertaste. 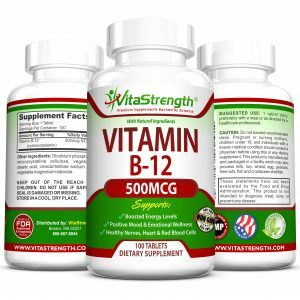 It is a one-month supply (a good course) of this supplement, which is made in USA at a GMP Certified, FDA approved and inspected facility – which gives me personally a bit of peace of mind with so many supplements out there on the market. VERY HAPPY!! I think this supplment made for people who don’t eat vegetables or fruits. Just kidding. Lutein is called a carotenoid vitamin. It is related to beta-carotene and vitamin A. Foods rich in lutein include broccoli(!!! )spinach, kale, corn, orange pepper, kiwi fruit, grapes, orange juice, zucchini, and squash. Lutein is absorbed best when it is taken with a high-fat meal. Many people think of lutein as “the eye vitamin.” They use it to prevent eye diseases including age-related macular degeneration (AMD), cataracts, and retinitis pigmentosa. That to be said, its very important for an eye health. I take it because i had lazik surgery 4 years ago and my eyes need some extra support. I have been taking it for a wile and had no adverse reaction to it. Its easy to swallow and doesn’t give me any digestive problems. My dad is coping with some serious eye conditions and, since he is concerned about genetic effects, he has been pushing me to get on some kind of eye vitamins. 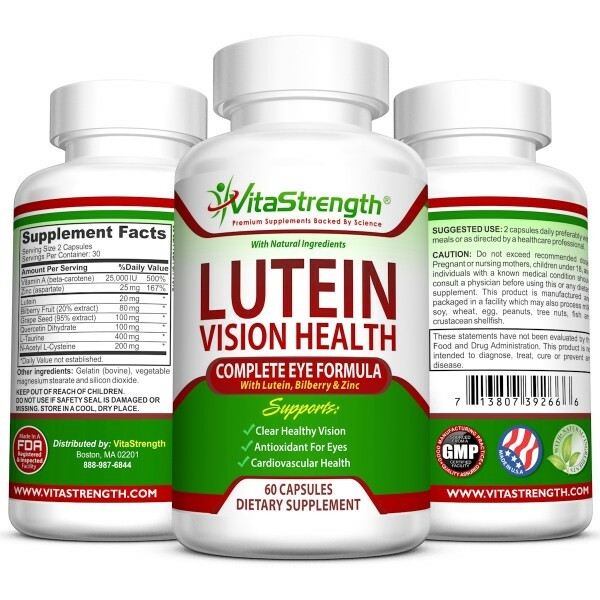 My research shows that Lutein is vital to eye health and this great formula from VitaStrength incorporates many other critical and essential elements on the recommended list. Since taking these, I notice my eyes do not feel as tired and strained at the end of the day so that is a good sign. I did not experience any sensitivities or observable adverse side effects in the use of this product. Overall, I am pleased with this purchase and I would encourage anyone wanting to protect their precious eyesight and improve their general health picture to give this product a try. GREAT! My mom has macular degeneration, so all of my family take Lutein for a long time. I used to take a leading brand lutein product that has olny 5mg lutein, so when I had a chance to get this at a discount for a thorough review I was happy to give this brand a try. I am happy because VitaStrength Lutein contains 20mg Lutein. It should be plenty for most anyone. It is a product made especially for the eyes.